We offer the products you need for waste disposal. Safely dispose of dangerous needles with sharps collectors. Desktop biohazard bags are ideal for use in fume hoods and or personal workstations. 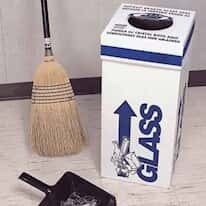 Disposal boxes are quick and easy to assemble and use. Choose from bags, bag stands, containers, and waste disposal systems.